Sugarbush Valley: An ideal life: 21 days - Go to Skimble's concert. All the parents of the little ones where so proud, but mostly Alsonzo and Cassandra as Skimble was a very proud performer. It almost looks as if little Lindy is searching for her mom through the people. Thank you M, I thought you'd like it! They are very cute, I would probably buy all the babies if I could. I love this one! The little hats are too much!!!! Thx Alex! They do look cute with that hats. Fantastic picture! 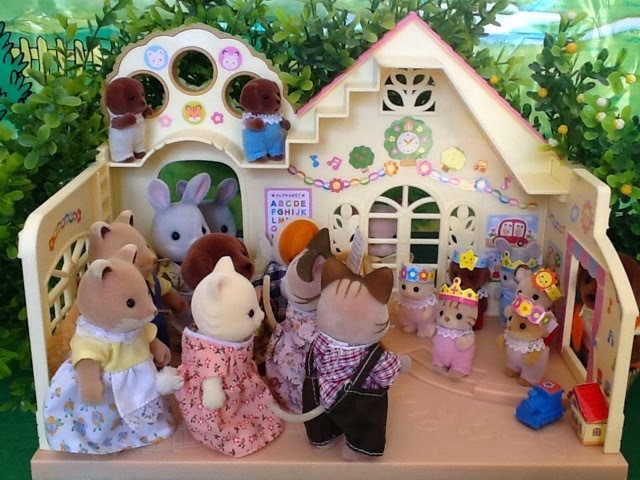 I received the nursery at last and I am waiting for my display cabinet to finally install my Sylvanian in it! It is such a cute building, Im hoping to do a story specifically about it soon!